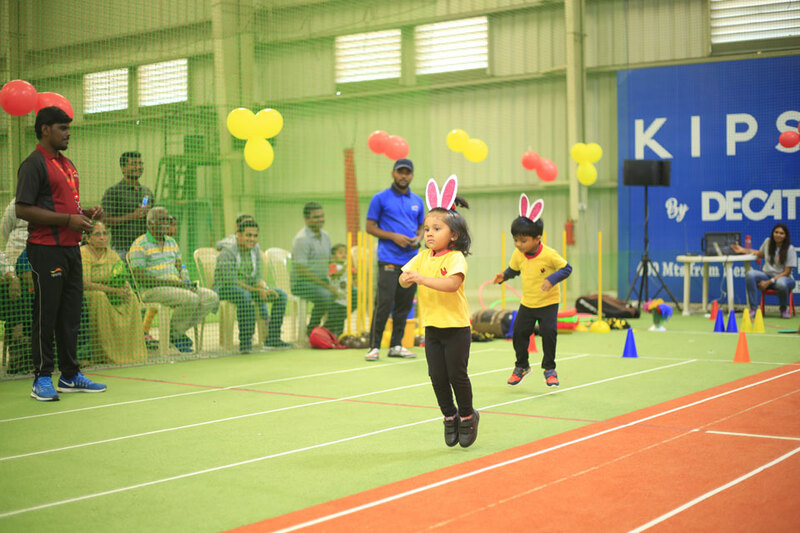 As your little one race’s around the football, swanks the cricket bat, gallops on the race track earnestly trying to make it to the finish line the benefits he/she reaps from engaging in sports are unimaginable. The triumphant cheer followed by a victory, the learning’s that come with being defeated and the camaraderie forged between team members are few of the many lessons that can be learnt only on the field. Here’s presenting to you an overview on the diverse ways in which sporting activities can aid your child. Being involved in sports trains your child to be resilient. You may have a winning streak, or face crushing defeat but a true sportsman will bounce back and give it his all for each game. Learning this at a young age sets the stage for the future. Some of the best friendships are formed on the field, so enroll your child for a sport it could just result in him/her making lifetime buddies. Do you feel your child breaks into tantrums or has an unstoppable rage? Sign him/her up for a sport being ordered around by referees and working in coordination with peers will go a long way in toning them down. Teamwork plays a part in eliminating selfishness hence a child involved in sports tends to support and care for team members making him/her empathetic in nature. Parents hesitate in enrolling their kids for sports because it may negatively impact their grades. On the contrary, a study conducted suggests that sport sharpens the mind, improves memory and brightens the mood resulting in better grades. Another benefit of sports, is it results in making a child more eloquent in his/her speech resulting in your little one becoming more confident. Things like this are not a part of a subject’s curriculum. So apart from becoming physically strong, sports in a way impart life lessons to children. How to go the sporty way? Sports as beneficial as it may be, is not something everyone is inclined to. Hence, here are a few things you could try to get your little one up and running around. To begin with a child learns by watching, if you are a sport enthusiast your child will eventually take lead from you. So beware next time you plan on lounging around the couch all day, your child may just follow pursuit. Introduce your child to the sports you love, and then slowly perhaps you could nudge them to other ones too. Make him/her sports inclined by doing fun activities like teaching him/her to ride a bike, playing ball or tossing a Frisbee. Encourage your child to call friends over and form a play date. One of the most crucial things you could do as a parent is clocking in 60 minutes in the outdoors with your child. Running about in the open will make him/her stronger. In a flurry of excitement make sure you don’t overdo it and stop at the right time. As a parent you have to exercise caution, a game brings disappointment which you shouldn’t expose to your child. Stay positive at all times for it to rub off on your little one. It is important to engage your child in sports after taking his/her opinion into consideration. Today preschools design sports activities to make children sports-friendly from a young age. Little Red Hen International Preschool is one among them. Having partnered with Sportify Asia, they have specially curated learning programs across all the four learning levels.